A faithful sunscreen routine is still no match for the protection UPF clothing provides. It’s the most effective barrier against the sun, and Coolibar has created innovative fabric to do the job. SUNTECT is rated UPF 50+, which means it blocks about 98% of UVA and UVB rays. Millions of tiny zinc oxide particles are embedded into the fabric’s fibers, protecting your skin like sunscreen would—but unlike sunscreen, it doesn’t wear or wash off. Ever. And even though it’s hard working, the bamboo cotton and spandex blend is designed for comfort. 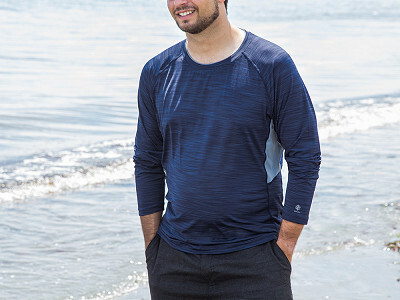 Super soft and lightweight, it helps keep you cool in warm temperatures and in the water, too. 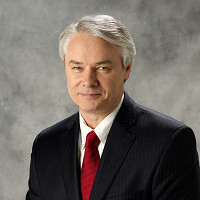 John Barrow named his company after a shady eucalyptus tree that grows in his native Australia. Like the tree, Coolibar gives you relief from the sun—and the most complete coverage. As the dog days of summer approach, we're very excited that Daily Grommet is sharing the good news about our sun-protective clothing. Coolibar's mission is to develop superior sun protective products that allow people to enjoy life in the sun. We are committed to making sun protection comfortable and stylish, and we invite you to check out our products. We look forward to reading your comments and are happy to answer your questions. Enjoy the rest of summer – Be Sun AWARE and Be Safe! I can't seem to find a sizing chart for the Cabana Hoodie. Can you help? Reviews around the web say they run true to size, Ivy. @Mike Unfortunately, there's no uniformity in women's clothes sizing. One designer's or item's size XL may be a medium for another. That said, can you provide body dimensions for each size (e.g., small = bust:32",waist:34", hips:36"), or the dimensions of the garments? Thanks! Like it. Are men's pants in your catalog? No pants at the moment, David, but if you start with a shirt, you can help Coolibar extend their offerings on site. I agree that Zinc Oxide is a great UV blocker but in order to do this it has to first absorb the UV Rays and then turn them into heat. How does this clothing deal with the heat issue? Does it reflect it away from the body or transmits it radially? If it reflects it away from the body I am new customer. It it radiates it in all directions I can not use it, I am very much heat sensitive due to a massive heat stroke and prong to regular strokes. Hi John, Coolibar acts much like sunscreen and though it helps keep you cool, it isn't designed to reflect heat. With any sort of health concern, we recommend checking in with a doctor. Why no 3X or larger. Big guys get skin cancer too. We know it and Coolibar does, too, Patricia. With enough support here on site, Coolibar can increase their size offerings. I was all ready to order, but the color advertised in the picture is not available. Since it was just launched yesterday, I found this to be frustrating and disappointing. That was a popular one, Joan. That shows you the power of a launch, it can be sold out before you know it. We'll work to get everything back in stock soon.